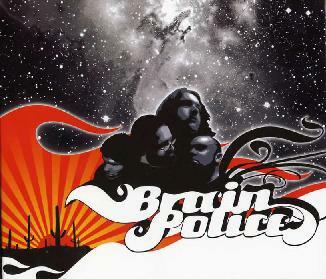 Brain Police - "Brain Police"
Well, I had never heard of this band but they started in 1998 and have released a full length CD (Glacier Sun) and an EP before this release from Oct 2003. The band is a 4 piece stoner rock band from Iceland. This is one of the few Icelandic bands I have ever heard and certainly the heaviest! If you like Kyuss and especially Unida then this is a band you for sure need to hear. The CD is a nicely packaged digipack and when you insert the CD into your computer a nice Brain Police track playlist box comes up and you can select the tracks and see the titles and lengths of the songs and select different play modes, etc. The band has achieved a fantastic stoner rock sound in the studio for this release. I am not so keen on the forced vocal style, it sounds so strained and painful at times. They have some great song titles like "Return to the Lovechopper of Destiny" and "Wombie Dust"! I quite like a number of the songs on this CD but like so many of these bands there are no guitar solos or weird stuff in the mid sections of these songs and it is all just riffs, riffs, riffs for an hour. You can get lost. The last song is the bands radio hit in Iceland called "Jacuzzi Suzy" and the riff is quite similar to "Down the Highway" by Nebula at times. I hope that the band come to the mainland and play some live gigs and I look forward to hearing more from this band. For more information you can visit the Brain Police web site at: http://www.dordingull.com/brainpolice/index.html.